Byrdcliffe’s wonderful annual Winter Solstice tradition continued this holiday season with a performance by Happy Traum & Friends at the Bearsville Theater. This year, Happy was joined by Larry Campbell, Teresa Williams, Amy Helm, Byron Isaacs, Cindy Cashdollar, Mike & Ruthy, and Justin Guip. A very special performance fundraiser: Songwriters’ Roundtable with local talents Simone Felice, Simi Stone and Gilbane Peck, joined by Gabriel Dresdale on the cello. In this brand new untitled performance, Lucas Handwerker explored the nature of fear, intuition and our minds’ dark corners. This was a far more intimate show exploring darker material than any previous performance. 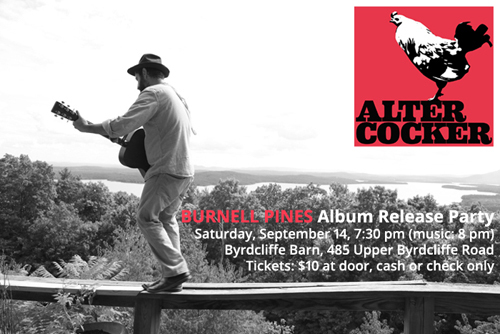 Jeremy Bernstein and Burnell Pines Album Release Party with Ben Perowsky at the Byrdcliffe Barn. 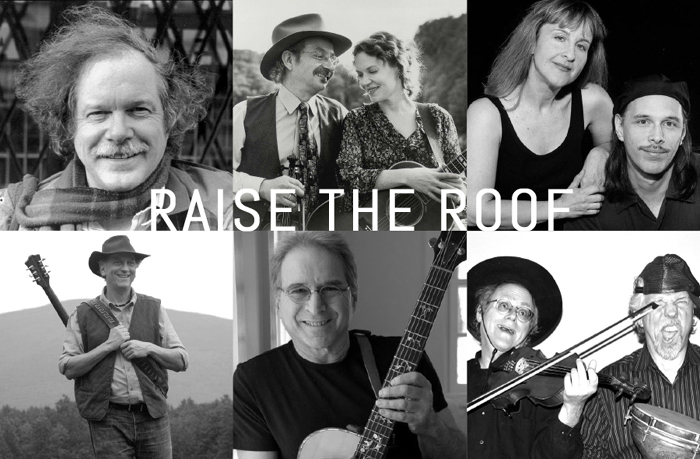 A gala evening that started with a scrumptious dinner at a Byrdcliffe supporter’s home, followed by a lively night of music at the Byrdcliffe Theater presented by Maria Todaro. Following the performance there was a champagne and dessert reception. The Roswell Rudd Quartet performed Songs from their CD Keep Your Heart Right. The program included Rudd classics such as You Blew It from his cult opera Blues for the Planet Earth; Keep Your Heart Right which goes back to his days with Archie Shepp (1960’s) and Sheila Jordan (1970’s); to new classics such as Bamako and I’m Going Sane One Day at a Time. 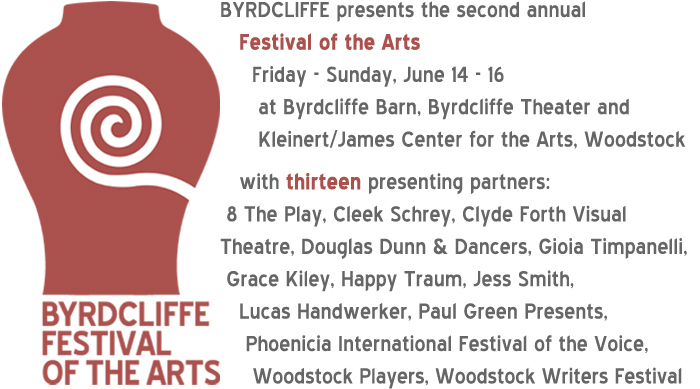 Byrdcliffe presents the second annual Festival of the Arts, Friday through Sunday, June 14 – 16, 2013, at the Byrdcliffe Art Colony and Kleinert/James Center for the Arts, Woodstock, NY. Thirteen regional arts organizations (8 The Play, Cleek Schrey, Clyde Forth Visual Theatre, Douglas Dunn & Dancers, Gioia Timpanelli, Grace Kiley, Happy Traum, Jess Smith, Lucas Handwerker, Paul Green Presents, Phoenicia International Festival of the Voice, Woodstock Players and Woodstock Writers Festival) will be presenting performances ranging from concerts, stage plays, modern mystery, comedy, spoken word to dance performances. For more information, schedule and tickets, go to byrdcliffefestival.org. Peter Wetzler returned to the Kleinert/James Center for the Arts with the continuation of his solo piano improvisation series. He was joined in the second half of the concert by his ensemble “The Repeatos”. Kairos, a vocal ensemble dedicated to the performance of unaccompanied choral literature from the Medieval to the present. The group is Artist-in-Residence at Holy Cross Monastery in West Park, New York and regularly performs church cantatas of J. S. Bach as a part of its popular Bach Cantata Series. John Medeski, a jazz keyboards player and composer, is a veteran of New York’s 1990s avant-garde jazz scene and is known popularly as a member of Medeski Martin & Wood. Keyboard master John Medeski thrives on the unpredictable. With A Different Time, his first solo piano project (out April 9), Medeski once again takes his sound in a completely unexpected direction – unexpected even to him. Lucas Handwerker has been astonishing audiences with his mental acrobatics since a very early age. Using hypnosis, psychological persuasion and neuro-linguistic programming, Handwerker offers an intimate look at the untapped power of the mind. New Zion Trio forges a fresh musical path by bringing together Roots, Reggae, Dub, Doom, and Jazz styles in a soulful acoustic setting. The group features three masters of Reggae and Jazz: Jamie Saft (piano/keyboards), Brad Jones (acoustic bass), and Craig Santiago (drums).